The modern world is haunted by hyper-development and quick civilization. Though they are necessary for better living standard and well-being of the society, we see these as challenges sometimes. Indeed, everyone has trouble in confronting change in their personal life, as well as in the society. 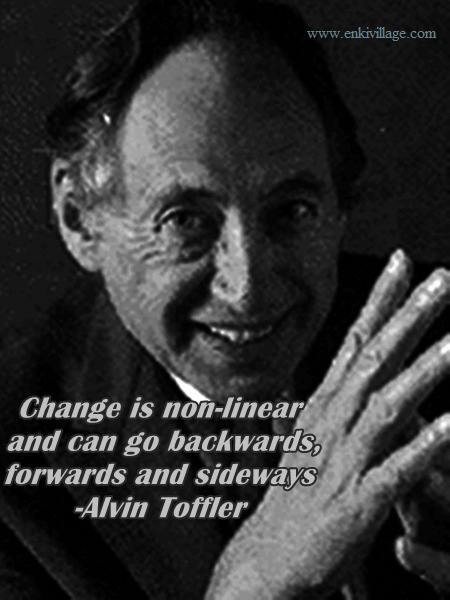 Let’s have a look at some of the powerful quotes by Alvin Toffler, a famous American futurist, which will surely inspire us to be prepared for the changes and future. We are social beings, and development starts from society. Well, know how to learn and keep learning. Nothing is constant in life except the ‘change’ itself. Knowledge lets you influence others, thus making you powerful. Civilization emerges slow, due to resistance to change. He has the best definition for change. Always be prepared for the future. The most difficult thing to initiate and manage is ‘change’. Let our culture not be lost by aggressive dispersion. Be ready to accept the future; not be afraid of it. Technology is growing fast and can be beyond anyone’s expectation. Technology helps a lot, but always be cautious about its potential hazards. Both the small and big things are worth being taken care of. Nothing can replace human intelligence and judgment. The first sign of maturity is being self-reliant. You can never expect how change is going to be. The definition of sanity changes over time. He, as a writer, knows that maybe. We are responsible for shaping the future, not to resist it from changes. Always be open minded. A positive attitude lets you adapt to the changes quickly. Always remember today is a new beginning. Anyone could make a mistake. Be brave to make mistake and learn something. Technology is always making its own development. Don’t be tempted by profit, it won’t help you in the long run. A strategy is imperative for survival. A lot of changes in the little time would be shattering. 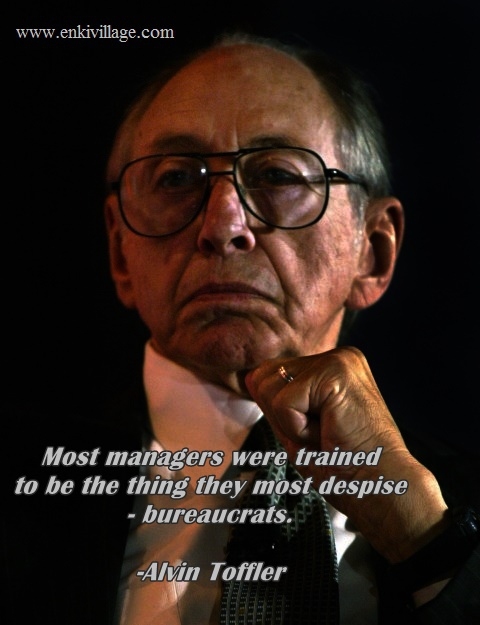 To end our list of Alvin Toffler quotes, let's see his idea on being a real manager.